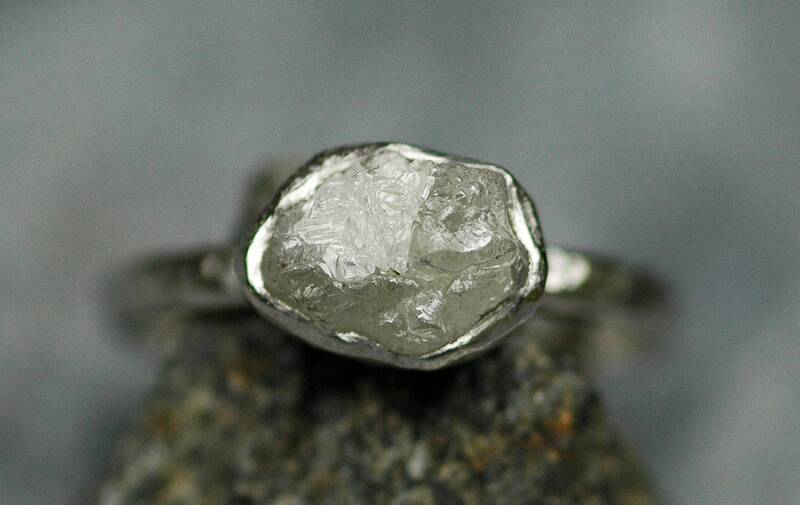 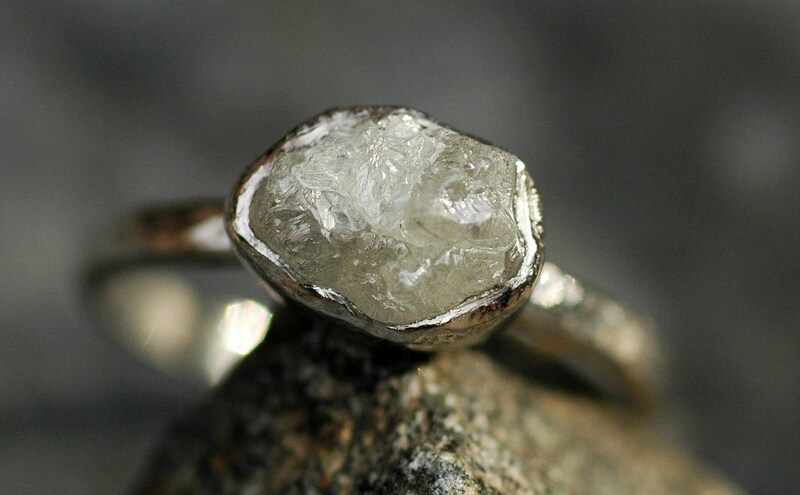 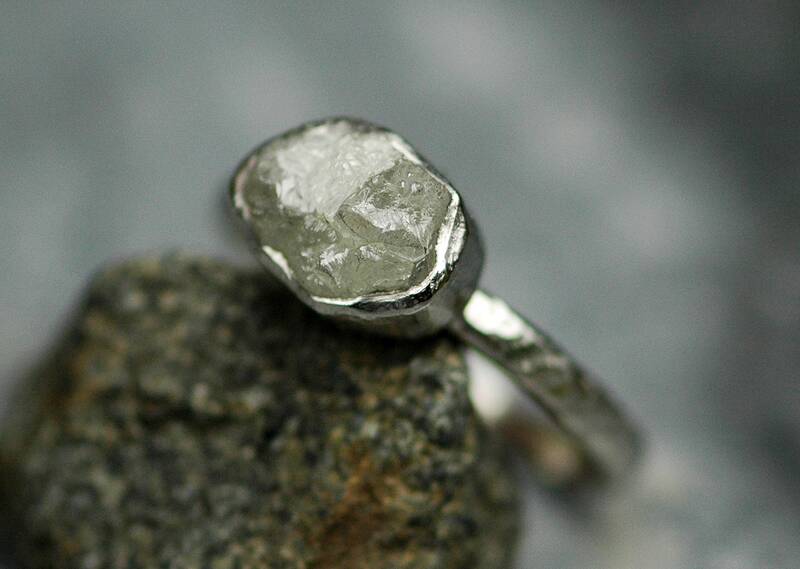 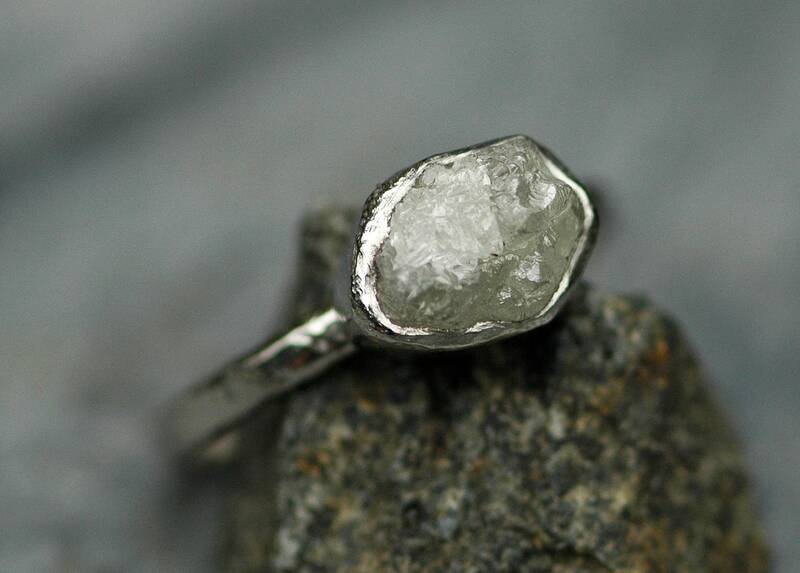 This rough diamond and platinum engagement ring is ready to ship. 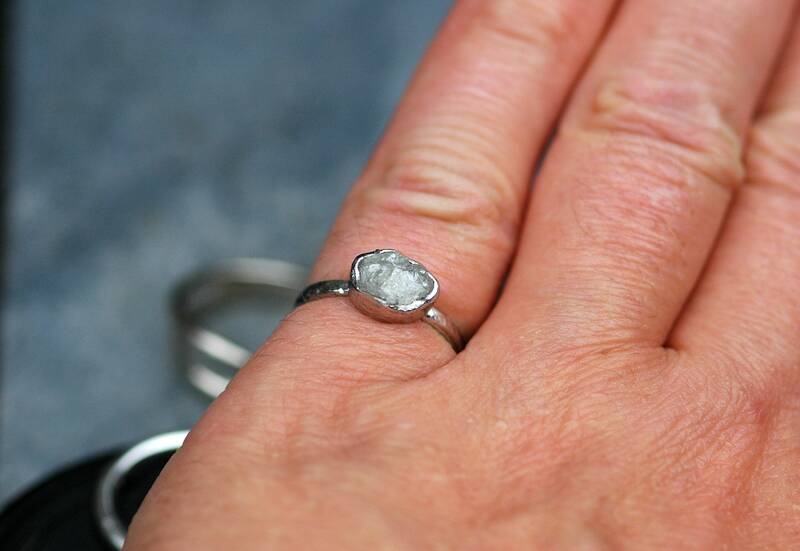 It is built to fit a size 5.5-5.75 finger. 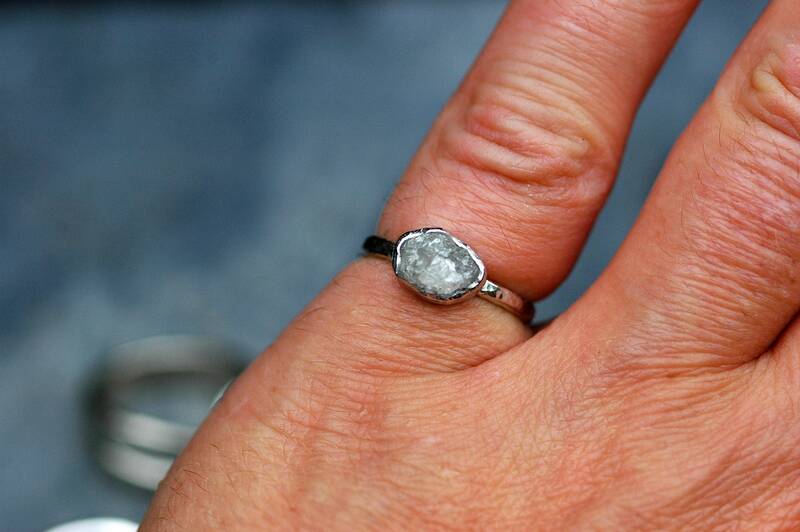 I can resize it to make it smaller- just ask. 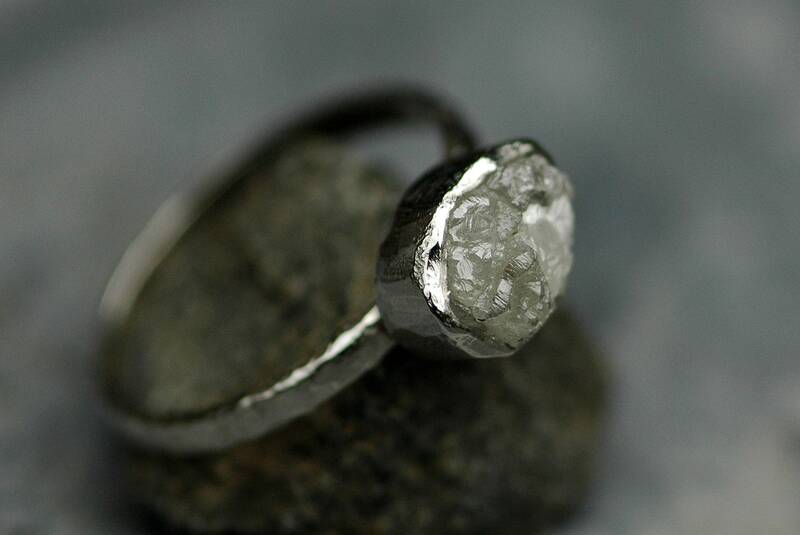 I can create a matching wedding band for this ring- the cost is $650 USD. 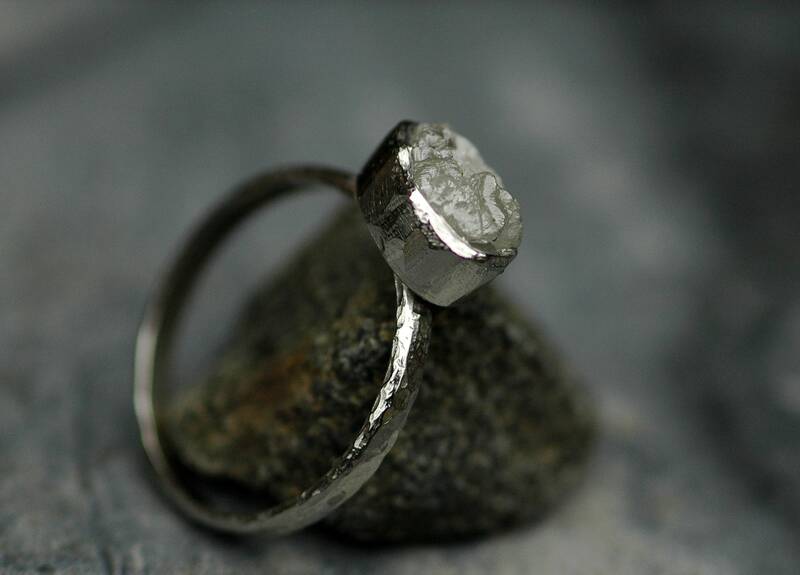 Please contact me to add a matching wedding band to your order. 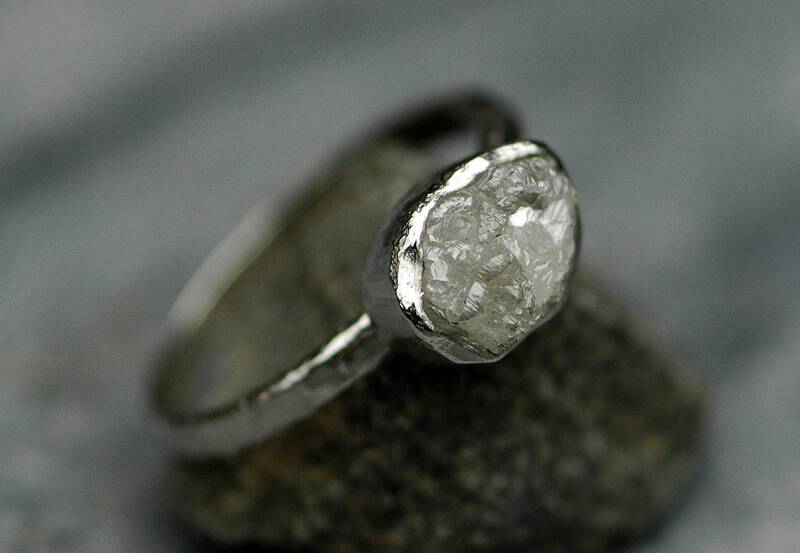 Like the ring, but not the size/band width/band texture? 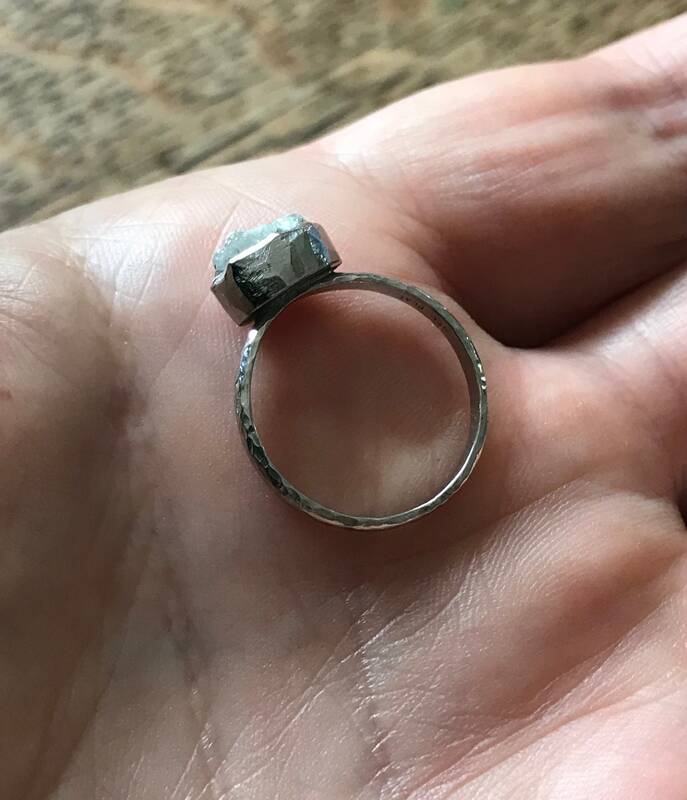 As I hand-fabricate each of these rings in my studio, any variation of this design is possible- a wider band, a flat/rectangular profile band, larger or smaller diamond- just get in touch.